Read our full review of the new Leica Q, with a full-frame 24 megapixel sensor and 28mm f/1.7 lens. 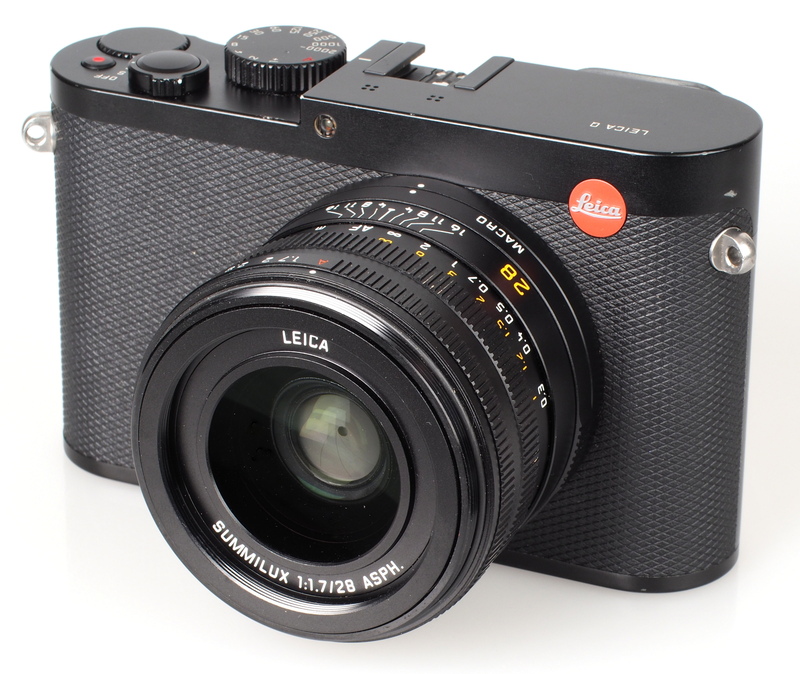 The Leica Q (Typ 116) is a new camera from Leica, with a fixed 28mm f/1.7 Summilux ASPH. lens, a 24 megapixel full-frame CMOS sensor, full HD video recording, a 3inch touch screen and the World's highest resolution electronic viewfinder, with 3.686 million pixels. 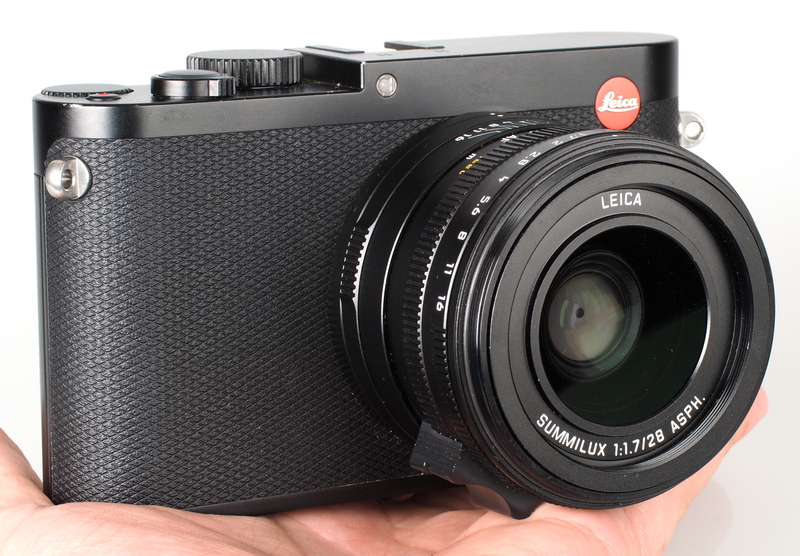 The Leica Q is available to order now, priced at £2900 including VAT. Even with a full frame mirrorless camera like the Sony Alpha 7 series, or a Leica M Rangefinder, finding a bright 28mm f/1.7 lens could be tricky, with your options available being Leica's own 28mm f/1.4 (£3900) or 28mm f/2 (£2700) lenses being quite pricey. Alternatively, Canon offer an older 28mm f/1.8, Nikon offer a 28mm f/1.8G, and Sony offer a 28mm f/2 FE mount lens. Considering the Leica Q features a 28mm f/1.7 lens, which on it's own would be around £3000, we think the £2900 asking price of the Leica Q is quite reasonable. The camera is built in Germany, where Leica's other premium full-frame cameras such as the Leica M are manufactured, with technology from Panasonic including the auto-focus system and optical image stabilisation (OIS) system. 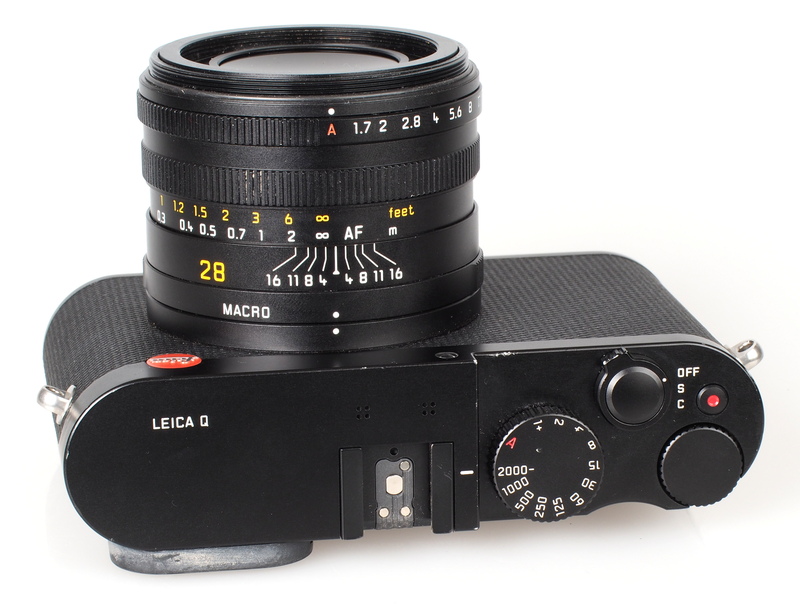 Jason Heward, Leica UK General Manager, says that he is expecting that, over time, there will be other variants of this new Q family. The Q is designed to combine what is technically possible with what makes sense in photography, listening to customers to see what they want in next generation cameras. 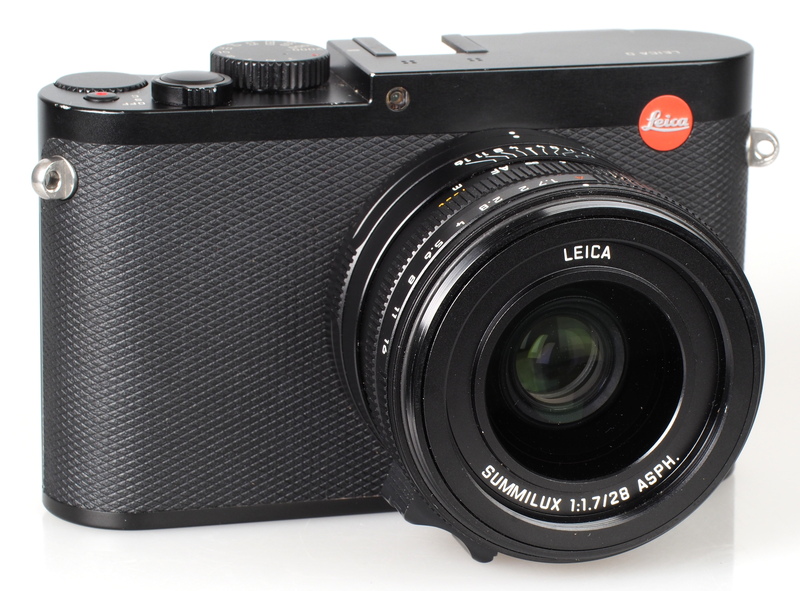 The camera features a high-quality Leica 28mm f/1.7 Summilux ASPH. 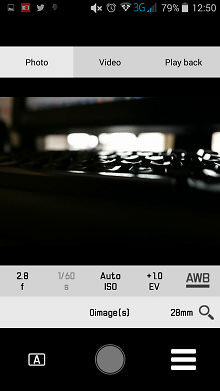 fixed lens, with autofocus and macro mode to allow focusing on subjects 17cm away from the sensor plane. The lens is said to give the same high quality as Leica M lenses, and the camera is made in Germany. There are numerous external manual controls, with a manual aperture ring, focus ring, macro ring, shutter speed dial, as well as autofocus, and numerous scene modes to make it easy for both advanced and beginner photographers to take photos. The 24 megapixel full-frame CMOS sensor has no optical low-pass filter, designed to give exceptional detail and tone mapping, and the sensor is said to have 13 stops of Dynamic Range. The camera features a 3inch (1040K dot) touch-screen on the back as well as a 3.686 million pixel LCOS (Liquid Crystal Organic Structure) electronic viewfinder (EVF), with an eye detection sensor to automatically switch between the screen and EVF. Anyone who purchases the new Leica Q is invited to a (free) Leica Academe to learn the camera, and improve their photography. They are also invited to join the Leica photo-park community to share, sell, and store their photos online. There are a number of Leica Q accessories available including a leather case that gives access to the battery compartment and has an SD card holder, as well as providing additional grip. A dedicated optional grip is also available, and a lens hood is included with the camera. The display can be set to show an electronic level, clipping warning, and histogram display. When using manual focus, you can choose from 3x and 6x magnification with focus peaking, and the highlight colour can be set to red, green or blue. There are a variety of options to make the camera easier to use for the beginner or for someone who wants to point and shoot, with scene modes, digital effects (including miniature), time-lapse, as well as panoramic shooting. Leica 28mm, f/1.7, Summilux ASPH. The Leica Q feels very well built, with a solid feel thanks to the aluminium top and bottom plates and a magnesium body, although no doubt there will be some that wish the camera included weather sealing. There is a good thumb grip on the back, although for those prone to dropping cameras, or feel unsure about the grip at the front, which is a little slippery, the optional leather case or optional grip would be a good addition to the camera to give a more secure hold. 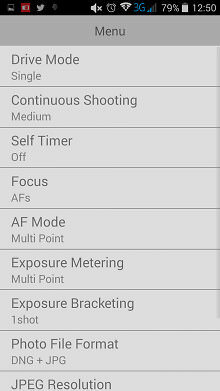 There are a fairly limited number of controls on the camera although all of the necessary photographic controls are there including aperture, focus, shutter, and exposure compensation (the top dial). This makes it easy to use without feeling overwhelmed by controls. 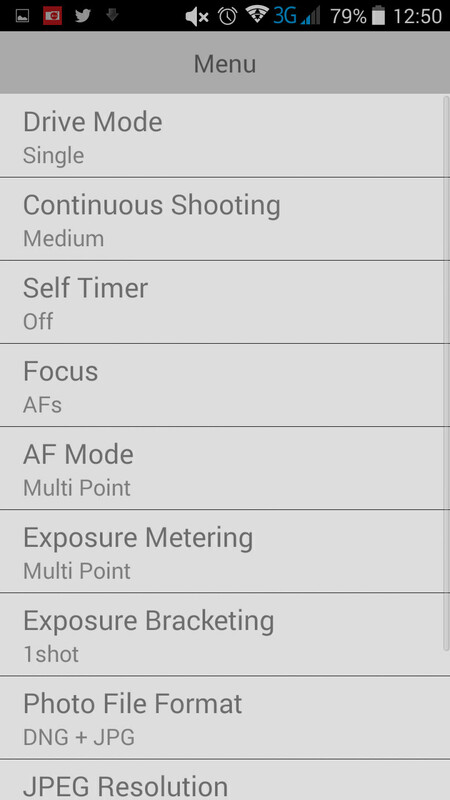 The function (FN) button can be customised to let you set either WB, exposure, scene mode, file format, exp. 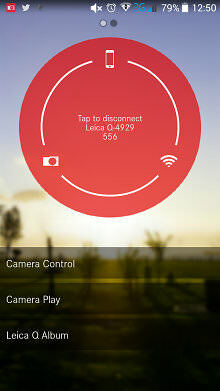 Metring mode, WLAN or self-timer. The rear button next to the recessed thumb grip can be customised to set the digital zoom, AEL / AFL, AFL or AEL. The front of the lens has a metal ring that screws off so that you can screw on the square lens hood. The provided metal lens cap fits both. The aperture and shutter controls can be left on A for automatic making it easy to pick up the camera and simply use it as a point and shoot camera. The manual focus ring can be activated by pressing the small release button on the focus ring, and will lock onto the AF position otherwise. The screen has a high resolution of 1040K dots, and is a responsive touch screen that makes changing settings easy and quick, with the camera recognising gestures and pinch to zoom. However, it's the electronic viewfinder that impressed us the most, with a 3.68 megapixel (1280x960x3 colours) resolution, it is higher resolution than any other electronic viewfinder currently available, and has excellent dynamic range, better than the screen on the back, and copes well with high contrast scenes, although did appear more saturated than the rear screen. 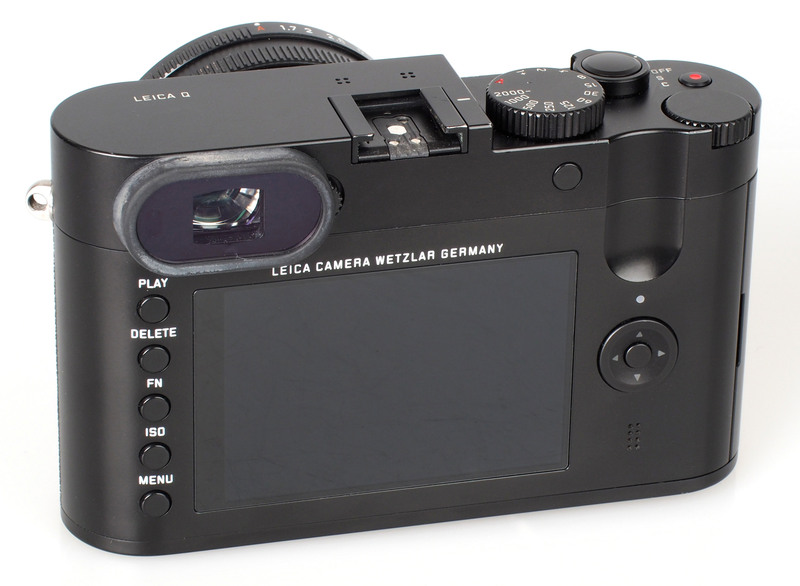 It features LCOS - Liquid Crystal Organic Structure - and there is an eye detection sensor to automatically switch between the screen and the viewfinder, although there is a slight delay in the time it takes to switch over. Dioptre adjustment is available with a +/- rating of 3, and there is a small rubber surround around the EVF, and glasses wearers may wish this was larger. With touch-AF or single point AF activated you can set the focus position to anywhere on the screen, even into the very corners. A focus assist light is activated when the camera is trying to focus in low light. The menus can't be navigated using the touch-screen, instead you need to use the 4-way controller, however, when there is a setting such as exposure compensation that benefits from on-screen changes, can be adjusted using the touch-screen. Touch-AF and Touch-AF with release is available as an option, but is not switched on by default. Focus seemed quick, and Leica has measured this at 0.15 seconds. The camera body itself (excluding the lens) is fairly compact, although quite large with the lens protruding from the body and measures: 130x80x93mm. The camera weighs 590g or 640g with battery. Wi-Fi features - The Leica Q app is available for iOS and Android devices, using the app you can remotely control the camera, shoot photos and video, as well as change settings and view photos for transfer to the smartphone. Setting up the connection is fairly straightforward, with the app scanning a QR code displayed on the camera. Battery life - Battery life is rated at 300 shots according to Leica / CIPA test results, which is good for a camera of this class, beating the battery life performance of the Sony Cyber-shot RX1 / RX1R. However, if you want to shoot more, we would recommend a spare battery. 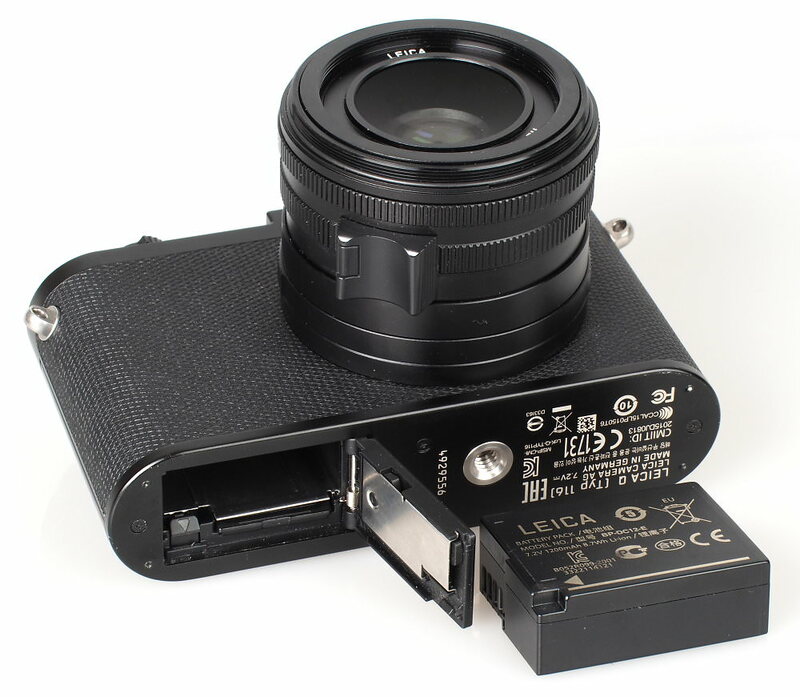 The battery looks very similar to a Panasonic Lumix battery, and we aren't entirely surprised as the Leica Q has been developed in conjunction with Panasonic. 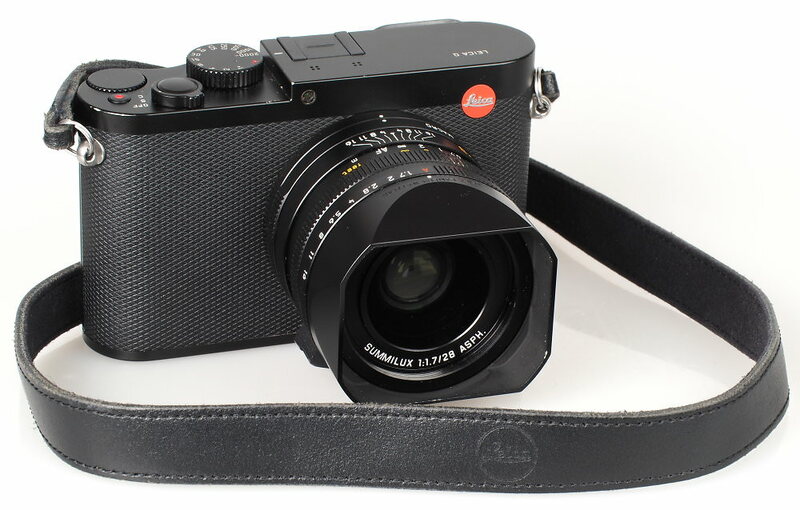 This is the Leica camera I have always wanted, apart from the focal length! I love 35mm but dislike 28mm! why did they have to change their minds this time :( :( :( If they make a 35mm version with that lovely macro mode, my spare internal organs will be out and sold before I can blink! If they make a 35mm version with that lovely macro mode, my spare internal organs will be out and sold before I can blink!